Solar Photo-voltaic (PV) technology is the way of the future, for generating and supplying electric power for homes and businesses in the US and across the world. Despite the great potential of Solar PV, current cost and efficiency of solar panels makes them a green, yet expensive alternative to conventional ways of generating electricity, such as Coal, Gas and Oil operated power plants, as well as Nuclear and Hydro electricity. The main obstacle that is holding back the wide-spread of solar PV is the long ROI (return on investment), which in some situations may exceed 10 years. Fortunately, the US federal government and local and state governments have a multitude of incentives and rebate programs for solar and other renewable energy projects. The Purpose of this Solar PV System Design Guide is to help you squeeze the most efficiency out of your home solar system, making it collect as much sunlight, as is available throughout the year. Designing Solar System for you – Estimate how many KW solar system you will need and how much electricity it will produce. How to choose solar equipment? – Learn which solar PV panels, inverter, and control units you should choose. Cost of Solar PV – Compare prices of solar systems installed by an integrator or do-it-yourself. First and foremost – you need to figure out if your site can accommodate a solar pv array, so that it operates at or near its rated efficiency. If your site conditions (roof of your home or business, backyard, etc) will limit the electricity production even by 20-25% – everything else is irrelevant, and solar is probably not for you. Southern Exposure: Solar PV systems operate by converting sunlight into electricity, so the first thing they require is enough light throughout the day and year, with as little obstruction or shading as possible. If you plan to use a solar system that will be fixed (usually a roof mounted solar array), you will need to position it so that it faces South. In this case, your solar PV system will collect as much sunlight as possible, as the sun will move from East to West. Shading: Throughout the year, the sun is positioned very differently, depending on the season – in the summer the sun is up high and in the winter it is very low. You need to consider this, as this issue has the potential to make your system very inefficient. 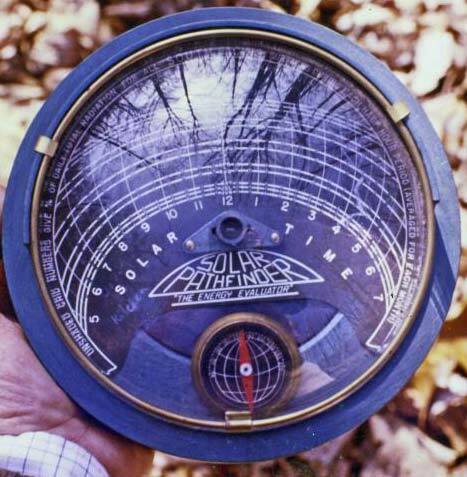 Solar Pathfinder is used by solar professionals to determine the position of the sun during the year and to find any shading that will obstruct the sunlight to the Solar PV Panels. By using a pathfinder, you could determine whether it makes sense to have a solar system installed at your location, and if you would need to remove some of the shading – eg. cut down some trees or move your neighbor’s house 20 feet to the left :). It is unlikely that a homeowner will have a Solar Pathfinder handy, but using just common sense, you can get a good idea if you have too much shading, or if your location is perfect for the installation of a Solar PV system. 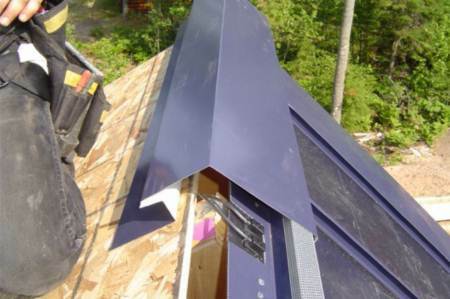 Angle or slope for solar panels: Depending on where you live or plan to install your solar system, an angle or incline of the panels may have a significant effect on electricity production. Here in New England the sun is at about 20 degrees to the earth surface and at about 45-50 degrees during the summer. If you plan to have a fixed solar system installed in MA or at a similar longitude, an ideal angle for your panels would be 30-32 degrees. Down south, the sun is higher in the sky, so it is better to lower the angle of the solar panels. At the equator, solar panels can lay flat on the ground and will get the maximum electricity production. At the north or the south pole, they should stand up vertically. Size of your roof: If you plan to have a ground-mounted solar system, this will be irrelevant, as there is usually enough room to have a decent size system installed. If, like most other people, you plan to have solar panels installed on your roof, depending on the number of Kilowatts you plan your future solar system to produce, you may need a considerable roof area. If you have a large roof and you are thinking about a metal roof, a Roof-Integrated Solar PV System, a standing seam metal roof with Uni-solar panels is a very good choice. It provides a long lasting roof and slick-looking yet efficient amorphous-silicon thin-film solar panels. These babies require more space to produce the same amount of electric power, but are a better choice from the perspective of roof / solar system longevity and integration. Lets assume that now you have performed a site inspection and determined that it would make sense to have a solar system installed. Maybe you will have to trim some trees, but over all, you have a decent size south facing roof with a good 35 degrees angle, and none or very little shading going from east to west. This will surprise many people, but solar PV systems are priced in Watts or Kw – NOT in Sq. Ft.
Every second person calling us about a Solar Roof, asks me: “How much is solar per square foot?”. The truth is – I cannot answer this question and frankly, no one can. The question itself is wrong, but here is the right answer: The cost of solar will be determined by the system size measured in KW. Here, I will explain how many kilowatts of solar you may need or want, and below you can find out how much it will cost. How many Kilowatts do I need? – This is actually simple, but pay attention to the theory behind it all. Electricity production of your solar system depends on how many “sun-hour-days” you have in your area. In Massachusetts and surrounding states (Connecticut, Rhode Island, Southern NY) we have an average of 4.2 – 4.5 hours of sunlight (sun hours) per day annually. This accounts for rainy and cloudy days, as well as long, sunny summer days and short winter days. Most households in the US consume on average 750 kWh (kilowatt-hours) per month. Assuming a 4.5 sun-hour-day in your area, 1 Kilowatt solar pv system should produce 4.5 kilowatt-hours of DC electricity per day. Per month, it will produce 135 kWh DC. Now, this DC electric current has to be converted to AC, so that your home appliances could use it. 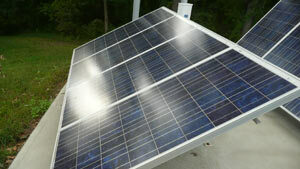 An inverter takes care of this part, as well as making your solar panels work at optimal production. However, as any electrical device it has resistance, so there will be power losses. An average modern inverter loses 3% of electricity due to resistance, while total power loss can be as much as 7-10% or more, depending on how well or poorly your system was designed. Basically, to become completely independent from your Utility company you will need to produce about 750 kWh of AC electricity. With 4.5 sun-hour-days you will need 6 kW solar PV array (5.83 kW to be exact, but bear in mind that this is all relative), which is optimally designed and is placed in an optimal location – no shading, perfect angle, etc. This is the best case scenario. So what size solar system will YOU need? When considering installing a Solar PV system, you as home or business owner will need to know the future size of your solar system in kW ( 1 kilo watt is 1000 watts) and the cost associated with this solar system. You also need to establish your current annual electricity usage and decide if you want to reduce or completely eliminate the use of electricity that you purchase from your utility company. First, gather your electric bills for the last 12 months, record your total electricity consumption – the number of kW-hours, and the total amount you had to pay, excluding any late fees and other miscellaneous fees. Divide your total cost by the total number of kWh – this will give you the real cost per kWh. In Massachusetts, the average cost of electricity for residential use is 19-24 cents per kWh, and 15-17 cents per kWh for commercial use. Average residential solar installation is 2-4 kW system which usually eliminates 50-70% of electric power that you purchase. However, those installations are still dependent on additional electricity. Commercial solar installations can range from 10 kW to over 1 MW (1 megawatt = 1000 kW). Commercial Solar PV systems can supply power to the building they are installed on, or they may be a so called solar farm – or a solar power plant supplying electric power directly into the electric grid. For the purposes of this guide, we will concentrate on smaller, roof-top solar installations for individual home or business use, as the topic of solar farms goes way beyond the scope of this guide, and is considered a power utility for taxes and other purposes. This is the most difficult part, as there is no right answer to this question. However, there is a general guideline to follow, which will help you choose the longest-lasting and best performing solar panels, inverter(s), control units, production monitors, etc. We will pretend that we are designing a 3 KW solar system for residential installation, in Massachusetts. Some of the variables will be different for your state, but this will be a good reference point for you. Basic metrics for choosing solar equipment (or any electronic equipment for that matter) is such that you don’t want to be an early adapter. You want to buy a 2nd or even 3rd generation stuff (inverter for example), which is a very safe bet that all the bugs of first / second generations were worked out and the equipment performs at maximum efficiency. You also want to get UL rated equipment, or your electrical inspector will never sign off on the permits. A good example of such an inverter is the Sunny Boy 2500, which is a 3rd generation, tried and true work horse which also offers one of the best expandability and efficiency. This is not to say that other inverters are bad – you should use the 2nd/3rd generation metric and do your due diligence. You also need to keep in mind that the average lifespan of an inverter is 7-10 years, while it’s cost is up there (on average you can expect to pay just under $1 per watt of the inverter’s capacity). If you plan for a big solar system, it is better to have many smaller inverters, than one big inverter. If a small inverter dies, others are still performing, and your system is only partially down, and it is a LOT cheaper to replace one $3000 unit, out of 5, than one $15,000 unit. For our hypothetical solar system, we will choose one of the more simple inverters from Sunny Boy, rated at 3000 or 3500 watts. There is never an exact number of watts produced, and in the first year, your Solar system WILL produce about 10% more than its rated capacity. You want to utilize that and also don’t want to “overload” your inverter: this is a little confusing – an inverter will only accept as much electricity as it’s rated capacity – not more, so anything extra will just disappear. A slightly larger inverter will allow for some future expansion of your solar system. The national average cost to install a Solar PV system ranges from $9 to $12 per watt or $9000-12000 per kW DC (direct current) of solar system installed, with smaller installations being at the top of this price range, due to fixed costs such as equipment, setup, installation, permits and paperwork. The most expensive components of the solar PV system are the solar panels themselves, however equipment such as an inverter (which converts DC into AC and feeds it into your meter) also add a considerable amount to a smaller size PV systems. Therefore, for a 3 kW residential solar system, the cost will be around $11 per watt or $33000 total system cost when using conventional solar panels. Fortunately the $33000 price tag is not your actual cost, as many states have a wide range of rebates for solar PV installations as well as federal tax credits, available for both commercial and residential systems. For the purposes of this guide, we will use two hypothetical solar PV systems – one being a 4 kW residential system and the other being a 25 kW commercial system. To simplify this guide and to avoid any confusion, both of those systems are installed in Massachusetts. This way we know exactly what the MA state rebates are for each system and what the local electricity costs are from N-Star and National Grid utility companies. 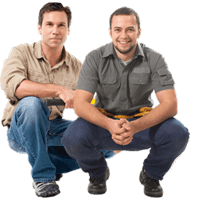 These two utility companies have the widest presence in MA market. I have no idea when this article was written because there’s no date on it. But the information seems to be out of date and there are comments going back to at least 2010. Articles on this site should have dates, and old articles like this should probably be updated or removed. Good writeup, but it seems to be missing the ROI calculations for the residential and commercial units. Did I miss something? Based on the limited info provided on the cost of solar, which includes the initial capital cost, inverter repair/replacement, cleaning and normal maintenance, I’m coming up with around $0.80/kwh and I’m figuring light on the cost of money, maintenance, and repair costs. Do you have calculations for the ROI to compare my results? This was about as low as I could realistically get it, even with the rebates. Hi, I was looking to start my own solar farm, a 3-4kw system is what i have budgeted, will you be able to grid-tie the system? as i just want to sale the power to the santee cooper, the local power plant. We are more of a solar roofing company – not a pure solar integrator. You are better off finding an electrician who does solar work or a local solar integrator company to do this work. Best of luck. I noticed your web page on the internet and I would be grateful if you could send me further information about the flexible substrates (the thin film products)such as their maximum power output, measurements and weight [or other of its properties you think it might be useful to us]. Our company is currently involved in a number of interesting design projects concerning the field of solar energy, and I believe that you may be able to supply us with such information with a view to placing an order in the future. I am looking for a rough estimate on how man kW solar panel system I would need including batteries (off the grid ), for a six bdrm, with pool and tennis court lighting. A rough estimate would be great as I will have budget for this. It is amazing to me just how many people are unaware of the energy challenges that we face. Its truly troubling that so many of us either think that there is an unlimited supply of good clean energy, or just do not think about it at all. For others, solar alternatives, as well as many new technologies represent a bright light at the end of a very dark tunnel. I admire anyone, who in either a big or small way, takes their valuable time to educate everyone about their individual opportunities and responsibilities when it comes to our future, and our children’s future. When we look back twenty years from now, it will almost be unbelievable that we were even engaged in this debate. Our energy future is a forgone conclusion, and we all have a role to play in advancing us toward it.